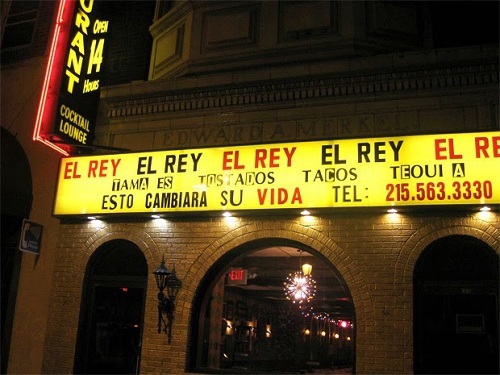 One of my favorite spots is El Rey (2013 Chestnut Street). Twice when people have come to visit me from out of town, I've taken them here and they've all really thought it was a good choice - the pricey pitchers of Sangria and traditional Margaritas does make it a party! 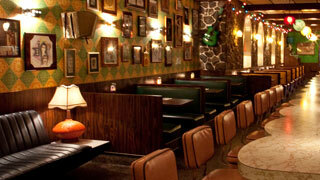 Love the funky decor, a mix of 1950's diner, eclectic Mexican, and a 1970's B movie house. The food is a little expensive for Mexican, it's not one of those joints where you get a pile of food w/chips & salsa for $7.99. Not sure they exists anywhere any more. 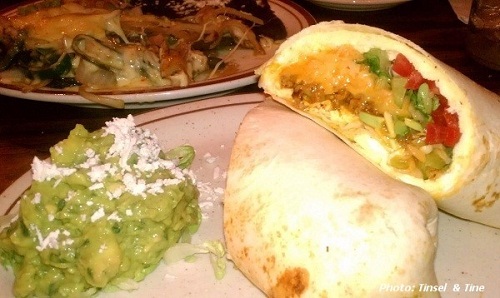 El Rey is Mexican done Stephen Starr style, but it's super good!